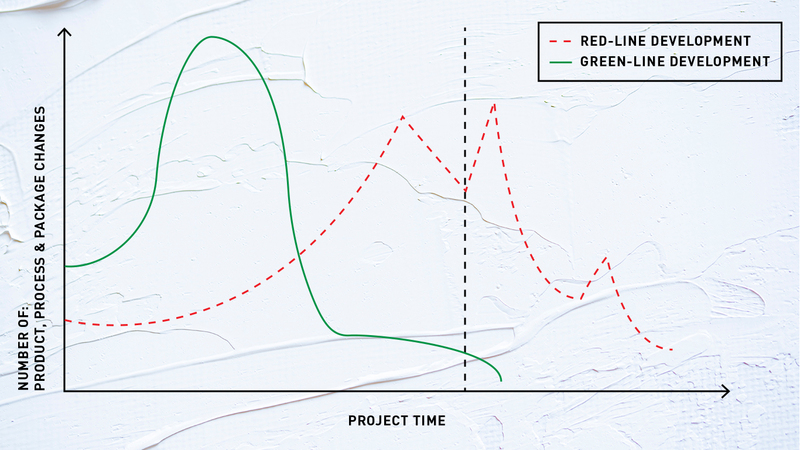 Why do you need Green Line Development? 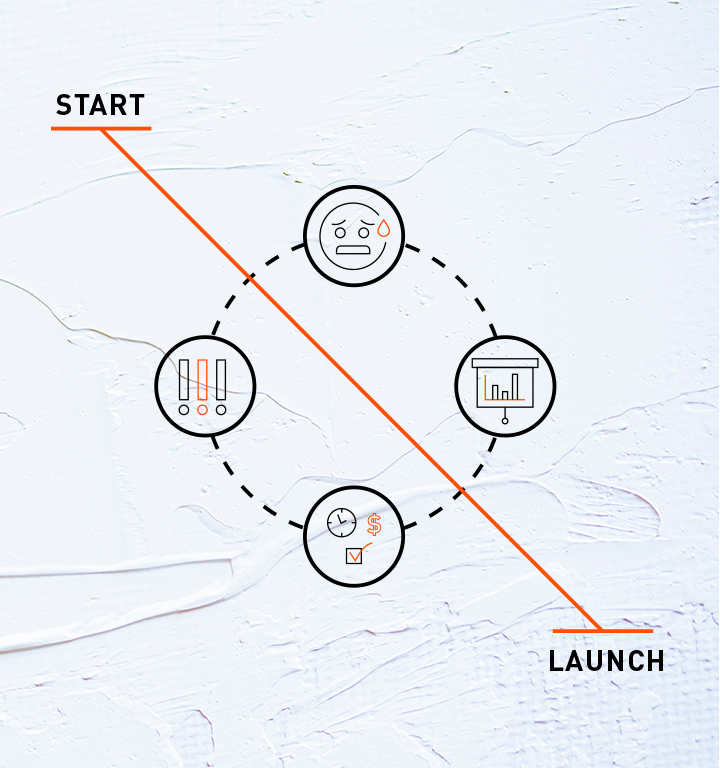 If we asked you to draw a picture of your new product development process timeline, what would it look like? Our best guess is that it would look something like the timeline to the left. What issues does this timeline present? Would you have a clear understanding of the consumer insight? Would you understand how this project is going to help your division grow its business? Would you be able to design products that could withstand “noise”? Would you be able to launch on time? These are questions that are almost impossible to answer if your timeline looks at all like the timeline to the left which we see so often. That is why we created Greenline Development, to help perfect the product development process making innovation more successful and repeatable. What Is Green Line Development? 80% of a product-line’s life-cycle costs are fixed by the decisions made within the first 10% of the program’s development time. The costs of reacting (e.g., redesigning products, changing suppliers, etc.) escalate in an exponential way as the work advances into later phases of development. Front-loading resources and work streams to correspond with the critical, early phases when costs and value propositions are being determined. Translating the consumer insights into technical terms and ultimately into consumer based product and process specifications. Exploring low cost alternatives early and often, and only adding features and benefits that add value. Understanding the trade-offs needed to make the product successful. “Fail early and often” to understand boundaries of your product system.